For generations the hardest wearing parts of the home have been made of solid materials like natural stone and ceramic tile - from the use of real stone tiles on hearths and in hallways, to tiled floors in utility rooms like kitchens and bathrooms. It's not hard to see why this is, as a stone surface is much more hard-wearing than laminate or vinyl flooring, which can quickly split or crack under regular footfall, and may also begin to lift from the surface below, leading to a creaky or even springy-feeling floor. 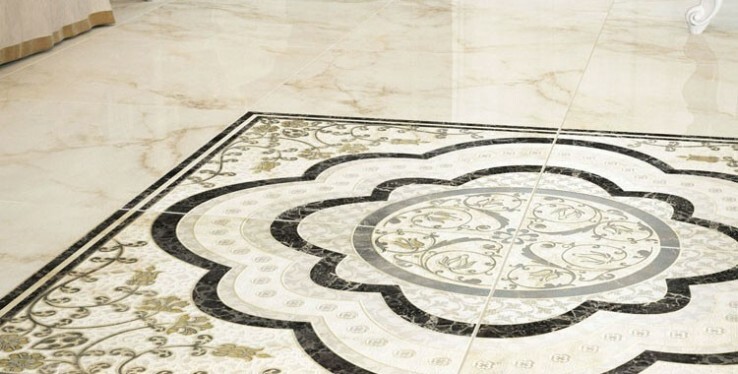 Likewise, a hard stone floor offers better resistance to splashes and spills, which can be mopped up quickly whereas they would soak into a soft floor covering like carpet - making hard floors a better option for rooms with water supplies, again including kitchens, bathrooms and laundry rooms. But with the trend towards open-plan living in modern times, real stone tiles are breaking out of these utility rooms to become a luxury tiling option throughout the home, as a durable and practical alternative to wall-to-wall carpets. Stone floors store daytime warmth well, and may be suitable for underfloor heating too; and of course it is easy to accessorise with area rugs in the places where you want something a little softer underfoot, without having to carpet some or all of your open-plan living area. Best of all, they allow guests to walk right into your home without having to worry about removing their shoes - any water or mud can be cleaned up immediately or, again, doorway mats can provide a place to wipe feet that can easily be cleaned or replaced when necessary. Over time, regular light maintenance will keep real stone tiles looking in good condition with little fuss or effort, while you can bring other accessories in and out to change the look of the space or to define new zones within your open-plan area for specific tasks.